Today, we're crossing the pond to peek inside the playful home of House of Hackney founders. 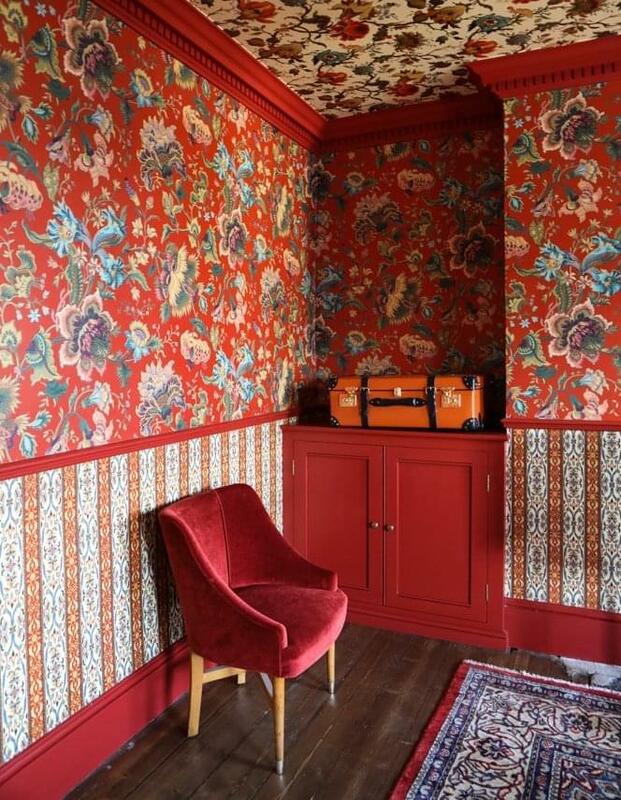 Surprising no one familiar with the brand, their Victorian townhouse is chock-full of color, print, and texture. We're especially into the tonal palettes seen in several of the spaces, like this children's room with layers of periwinkle, turquoise and dusty blue from the ground up. Back in our own backyard, we visit Lynn Wyatt's Houston home. All the details of her decor are divulged from what's on her bedside table to her Andy Warhol shrine. If the holiday shopping bug hasn't bit you yet, this accessories guide for your Thanksgiving table will change that. We love the different pheasant placemat options and Target steals on velvet trim table linens. Who wouldn't want to take a seat in this seafoam corduroy chair from our friends at Blue Print in Dallas? Last but certainly not least, we've got a rug guide from Lonny if you're just beginning your journey to building your dream home. We hope you invite us along the way!